Manganese Bronze - history repeats itself? Following months of trouble, Manganese Bronze, the company that builds the TX4 London Black cab, went into administration in October - and Chinese carmaker Geely is interested in buying the company as a going concern from the administrators. PricewaterhouseCoopers (PWC) the administrators called in to try and find a buyer for Manganese Bronze on 12 October - either as a going concern, or broken up - has been talking to a number of interested parties. But it looks like that the company's Joint Venture partner in China, Geely, is emerging as the favourite, dropping heavy hints to the Chinese media that it would like to buy the embattled taxi-maker in a manor reminiscent of MG Rover's sale to the Chinese in 2005. 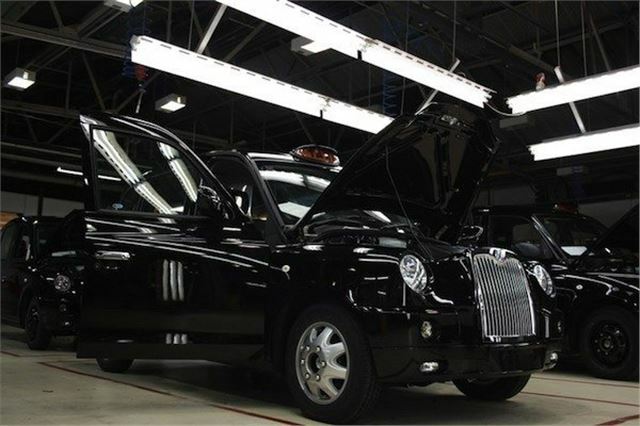 Geely and Manganese Bronze's Joint Venture had been in place since 2006, and had seen much of the black cab's production moved to China, with cars shipped all over the world since. UK-'built' TX4s were assembled from Chinese built kits. But after a number of quality issues, causing costly recalls, the loss-making British company threw in the towel. Geely's interest in Manganese Bronze grew to a 20 per cent ownership stake; and taking the remaining 80 per cent from the administrators would ensure control of production. But more interestingly, Geely showed a selection of 'concepts' (below) at the 2012 Beijing motor show (alongside a TX4), which owed more than a little to the taxi's styling. It signalled that the company wants to give its Emigrand range a bit of an English twist - and just like SAIC and Chery, Geely is looking to start exporting its cars to the UK. And having a base in Coventry would be very useful indeed. Oh what a tangled web we weave! What a sorry story we have in this country. Useless politicians, unions, managment and investors.